At home in the beautiful rolling valley of Northeastern, Pennsylvania, the Stanley Cooper Sr. Chapter encompasses the Greater Wilkes-Barre Area. Drawing in more than 200 members, the chapter meets at VFW Anthracite Post 283, 757 Wyoming Ave. in Kingston at 7:30pm the second Tuesday of the month September through May; no meetings are scheduled during June, July or August. FUDR Redd Count Dates are Set! 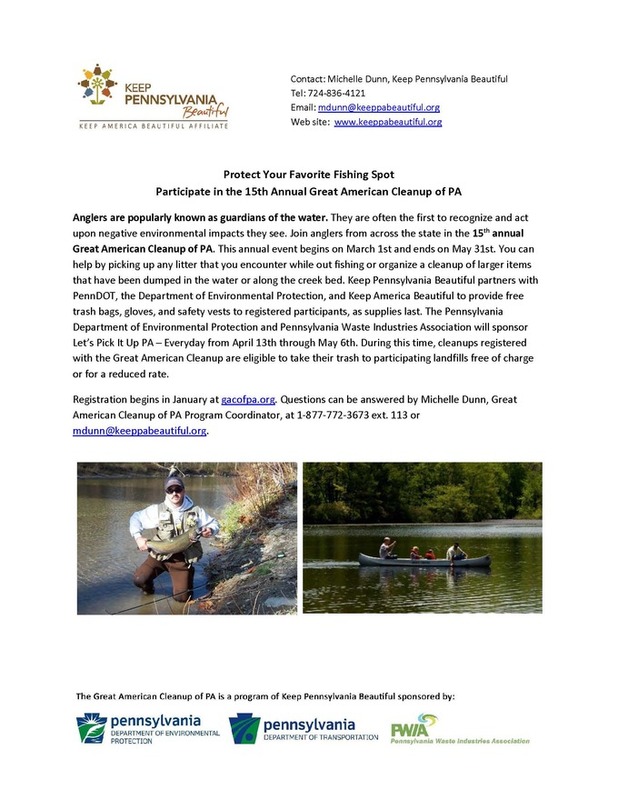 The Spring Redd Count will help the NYS Department of Environmental Conservation and the PA Fish and Boat Commission generate important data for their 3-year Joint Fisheries Investigation Plan. Volunteers should come to the Whitetail Fly Shop in Starlight, PA (next to Shehawken boat launch) at 9am on April 12 and/or April 13. You will be assigned a Team Captain, training, tributary assignments, and travel to the sites. Bring a lunch/beverages and wading gear.